Our Sail Valeting service is a comprehensive cleaning and full overhaul, to allow you trouble free sailing next season. The sails are washed, checked over, faults noted and advised if requested, repaired and folded and stored until you need them. In fact we reckon that our valeting service is so good, that all the repair works and improvements are guaranteed for two seasons use! 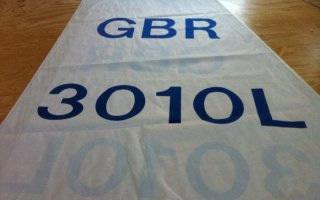 This is dependent on the age of the sail of course but we always advise on the economical replacement date of a sail before carrying out any work. Please phone for a quote, or better still bring the sails in for a free estimate. Please allow us to quote you for that Cruising Chute ,Fully battened main, or Roller genoa that you considered this season, we come to the yacht to measure up to ensure a perfect fit, and advise free of charge.